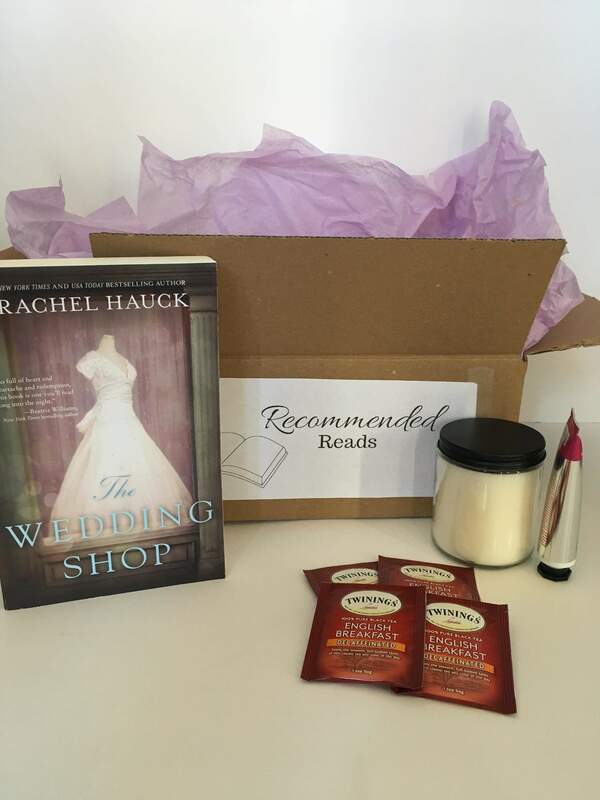 The Recommended Reads Box company is a Christian organization, devoted to providing readers with clean, enjoyable books to read each month. When you subscribe to one of our Original or Deluxe boxes, you will be given a survey to take that lets us know all about your reading preferences, so that we can expertly pair you with the best books suited to your tastes. Our Book of the Month Boxes are themed boxes, with a different book each month based on the genre you choose and goodies to go along with it. When you subscribe to one of our boxes, you will be billed for that month's box, and each month after that you will be billed on the same day for the next month's box, so long as you decide to remain a subscriber with us. We hope you love our boxes and will always strive to provide great service and wonderful reads, but if you decide Recommended Reads is not for you, you can cancel anytime. Our boxes ship to the US only. When you order before the 24th of each month, your box will ship on the last day of that month. If you order after the 24th, you will receive the next month's box at the end of that month. We ship USPS Priority Mail 2-3 day shipping, at the same rate for each subscriber no matter where in the US you live. 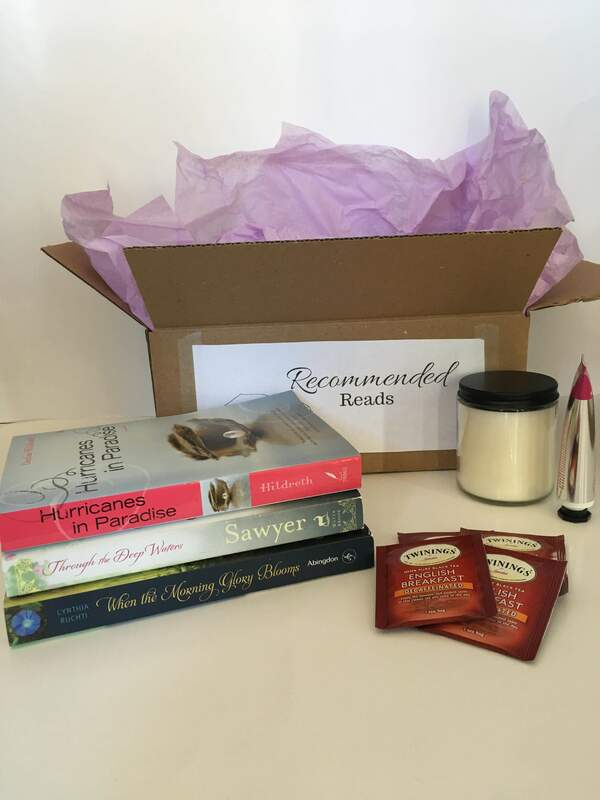 The Recommended Reads Box is a monthly Christian book box that is catered to each individual subscriber; just fill out our short survey and we will send you an expertly chosen novel based on your own personal preferences, so you'll never have to wonder what to read again. This edition is the smaller, trimmed down version for readers who would rather just get their book and not the fluff (extras) that comes with the Deluxe edition. Each box comes with each month's designed bookmark, a few different flavored tea bags for you to try, and can come with one or two novels a month. 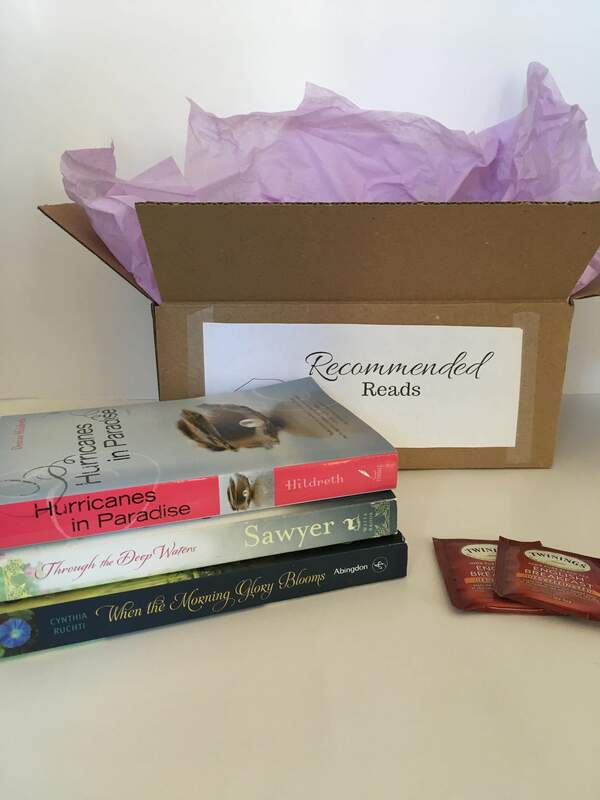 The Recommended Reads Box is a monthly Christian book box that is catered to each individual subscriber; just fill out our short survey and we will send you an expertly chosen novel based on your own personal preferences, so you'll never have to wonder what to read again. This Deluxe version comes with a book and a each month's designed bookmark, and also comes with tea, coffee, or hot chocolate, and 2 different goodies every month (goodies can include monogram decals, candles, bath bombs, mugs, soap, etc.). The Well-Loved Books Box is a monthly Christian book box that is catered to each individual subscriber; just fill out our short survey and we will send you 3 gently used, expertly chosen novels based on your own personal preferences. 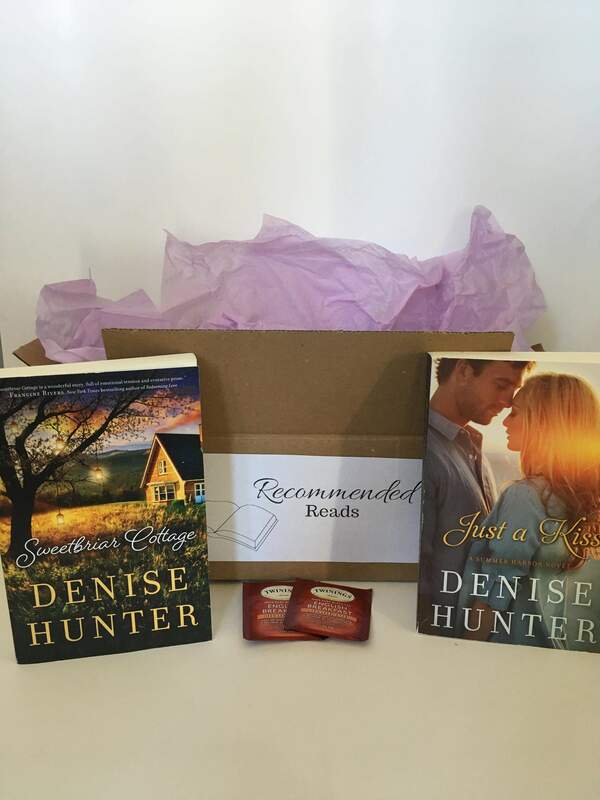 With this box, you will always have something to read, and you will be giving life back to books that someone else has loved before, though each book will have to pass our quality "gently used" standard before it will be chosen. This edition is the smaller, trimmed down version for readers who would rather just get their book and not the fluff (extras) that comes with the Deluxe edition. 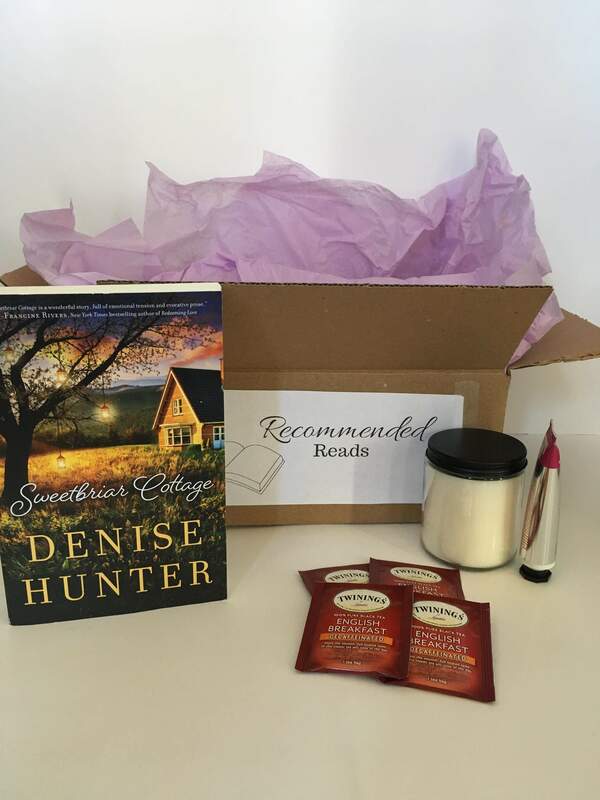 Each box comes with each month's designed bookmark, a few different flavored tea bags for you to try, and 3 gently used novels for you to enjoy. The Well-Loved Books Box is a monthly Christian book box that is catered to each individual subscriber; just fill out our short survey and we will send you 3 gently used, expertly chosen novels based on your own personal preferences. 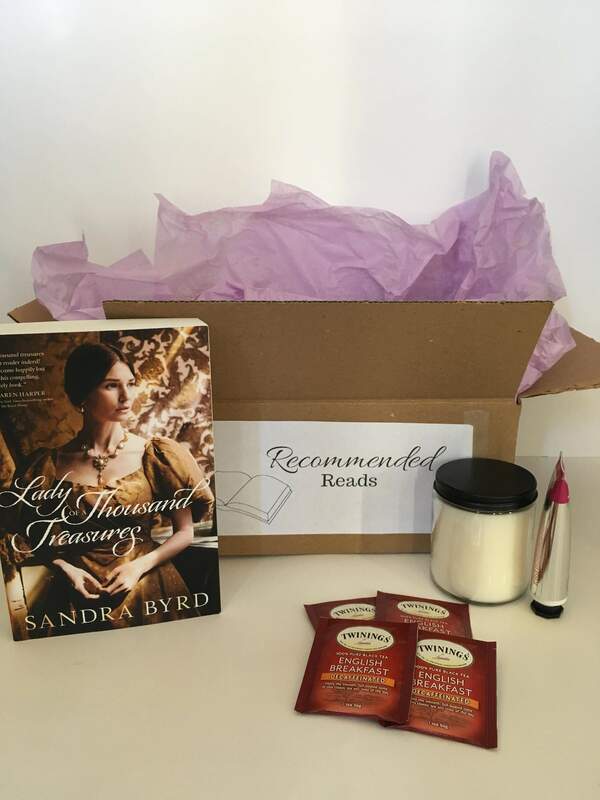 With this box, you will always have something to read, and you will be giving life back to books that someone else has loved before, though each book will have to pass our quality "gently used" standard before it will be chosen. This Deluxe version comes with a book and each month’s designed bookmark, and also comes with tea, coffee, or hot chocolate, and 2 different goodies every month (goodies can include monogram decals, candles, bath bombs, mugs, soap, etc.). The Book of the Month Box is a monthly Christian book club-type box that comes with a different expertly chosen historical fiction novel each month, along with each month’s designed bookmark, tea, coffee, or hot chocolate, and 2-3 different book or season/holiday themed goodies every month (goodies can include monogram decals, candles, bath bombs, mugs, soap, etc.). The Book of the Month Box is a monthly Christian book club-type box that comes with a different expertly chosen contemporary fiction novel each month, along with each month’s designed bookmark, tea, coffee, or hot chocolate, and 2-3 different book or season/holiday themed goodies every month (goodies can include monogram decals, candles, bath bombs, mugs, soap, etc. ).